We are committed to improving the efficiency, accuracy, and availability of evidence-based prediction tools around high risk human behaviors. With a combined 50+ years of experience in the prediction of human behavior, we are prepared to consult on complex issues in settings such as healthcare, social services, law enforcement, justice system, armed services, and others. 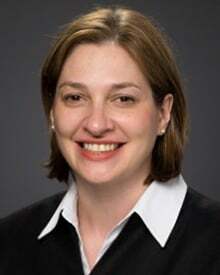 Board certified in general and child psychiatry, Dr. Althoff trained at Massachusetts General Hospital and Harvard Medical School and has research expertise in self-regulation, suicidal behavior, machine learning algorithms to predict adolescent drinking behavior (Nature Whelan et al 2014), and genetics. He received the 2010 Klingenstein Award for best research in depression and suicide and the 2012 Richard Todd Award for genetics research in child psychiatry. He is funded by the American Foundation for Suicide Prevention, NIMH and NIGMS. Dr. Cats-Baril's expertise is in medical outcomes, quality of life assessment, and cost-effectiveness of health care treatments. He teaches business strategy, Total Quality Management, and business process reengineering. He consults with hospitals on strategic management and training needs and is a recognized expert on consensus building. Board Certified Psychiatrist in General and Geriatric Psychiatry, Dr. Desjardins has expertise in Institutional leadership, health care system redesign, quality improvement, and regulatory compliance. She brings institutional and clinical operations knowledge along with clinical expertise in risk management. Dr. Maruti is a psychiatrist with sub-specialty in Addiction Psychiatry from Massachusetts General Hospital and Harvard Medical School, and has developed research expertise in risk assessment, quality improvement, and outcomes measurement. Prior to attending medical school he worked in a variety of research and development positions in biotech and health care consulting for almost a decade.